When you listen to the podcast interview intro and end about mobile speech, don’t think I’ve changed genders. It’s iSpeech’s voice technology (speech recognition and text-to-speech) introducing my interview with Yaron Oren, the company’s CMO. DriveSafe.ly is available for iPhone, Android, Windows and BlackBerry smartphones. Download the app online. The Apple version is also available from manufacturing partners who embed iSpeech’s technology into vehicles. As in Star Trek and other sci-fi shows, mobile computers (smartphones) and humans have waited for years to speak and listen to each other with natural speech. Now that mobile phone processors and software have improved, speaking with your mobile phone has finally arrived. iSpeech is leading the way with its natural-sounding digital speech output and high quality voice input. With over eight million customers and 400 million texts under its belt, this young company competes with Nuance and other established voice technology companies. Having worked in the industry, I know it’s taken many years for speech synthesis to perform well on IVR systems at call centers. Text-to-speech has been less of a problem, although you might recall the days when systems sounded like a computer. Outsourcing a call center to enable mobile speech is often chosen to obtain best quality and the latest technology. 26 states have banned mobile texting while driving. Clearly, it’s not safe, despite many drivers risking their lives and health by ignoring the law. Voice applications, like iSpeech’s Drivesaf.ly, make it easy for drivers. One study, in fact, found that convenience was the main reason for texting on the road. Another study found that college students, in particular, text in the classroom and on the road. So having a tool like DriveSafe.ly to use decreases injuries from accidents. For bloggers who want to create podcasts on-the-fly, the company also offers a text-to-speech product, although its computer-like sound didn’t impress me. Health care and other industries are prime candidates for iSpeech’s technology, especially as phone processing power increases. Started in 2007, the company enables developers and businesses to build speech-enabled applications offering voice output and speech recognition. iSpeech is privately held and headquartered in Newark, NJ with offices in San Francisco and New York. 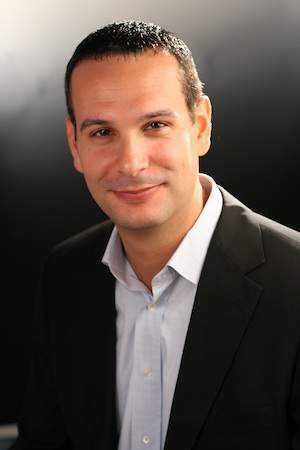 Yaron Oren, CMO, a veteran of the mobile and media industries, handles marketing, strategic direction and business development.. Before joining the company, he led a profitable mobile business for Hachette Filipacchi Media U.S., part of Lagardare Active, the largest magazine publisher in the world. Before Hachette, Yaron held several marketing and engineering roles, including most recently recently with Palm. He’s also worked with the executive mobile committee at the Interactive Advertising Bureau (IAB) and Online Publishers Association (OPA). In 2010, Min Online named Yaron as one of “15 to watch” in media. He holds a Bachelor of Science degree from Cornell and an MBA from Northwestern Universities.